Compiled by Pathways life coach Andrew Leigh. Please feel free to contact me if you have questions not covered here. My fees are £80 per session, usually paid for in four-session blocks of £320. Discounts are available for pre-payment of 8 sessions or more. These prices represent excellent value for a coach of my experience and expertise. My clients pay by bank transfer or credit card (via PayPal). Some business clients pay via their company invoicing system. What is the Pathways Guarantee? I offer the following guarantee: your full payment refunded if, at the end of the first paid session, you do not wish to continue with the coaching. No quibbles, just a speedy refund. You offer a complementary session – what’s that like? It’s a friendly discussion. First we look at the challenges and issues that are concerning you. I’ll explain the way that my style of coaching may help you achieve the changes you desire and the different approaches we could adopt. Then we’ll do 15-20 of more focused coaching on a topic of your choice. This will help you decide whether coaching is right for you, and also whether I’m the right coach for you. Finally I’ll ask very simply if you would like to do more work with me. There is no obligation to say yes and at no point during the call do I make the assumption that you will become a client. Find out more about the complimentary session. In simple terms, most forms of therapy, including counselling, focus on ‘what has happened’. They are concerned with ‘the problem’ and with regaining mental balance and perspective. Coaching focuses on what is possible. It is future focused, action oriented and supportive in helping clients move towards their goals. What are the benefits of telephone coaching? It’s an incredibly powerful way of coaching. When I started my training I was quite sceptical about the idea of telephone coaching. I was soon a complete convert. Telephone coaching offers a unique blend of intimacy and anonymity that helps clients feel comfortable and empowered – with none of the distractions that can come from face-to-face coaching. It’s also convenient – no stress of travelling, and no wasted waiting. One other benefit of telephone coaching is that you get to choose from a wider range of coaches, rather than being restricted to someone who works geographically close. For people in the South of the UK this can also have financial implications as coaching fees (particularly in London) are often much more expensive, with some coaches charging up to £150 per session. But the main reason telephone coaching is so popular is because it works. See my Life Coaching page for a full explanation. What does it feel like to be coached? Exciting, intense and powerful – yet safe, confidential and supportive. It can feel strange at first to have the focus of a conversation on yourself and your life situations. As you commit to new actions and set yourself new compelling goals you will feel determined and purposeful. Confidence and self-belief benefit from your new achievements. 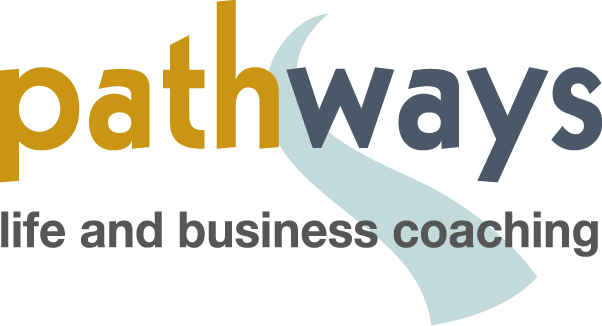 Is the Pathways coaching service confidential? Yes, completely, providing we are not discussing current criminal offences! All files and personal details are kept securely and no information is disclosed to anyone in any form. Are my contact details passed on to anyone else? Do coaches have to be qualified? Regrettably not – so do take care in choosing a coach. Even ‘qualified’ coaches can have done massively different courses. Experience and testimonials are also invaluable in helping you choose a competent coach. I’ve been fully qualified and coaching full-time for over a decade and a half. During that time I have worked with hundreds of clients and conducted thousands of hours of one-to-one coaching. I did my coach training with the UK College of Life Coaching, which was later taken over by The Coaching Academy. I’m also a qualified mentor. I also founded The Sheffield Coaching Exchange in 2003 and am currently chairman. I also write a blog aimed at helping people to quieten their negative thinking and move to a more positive mindset: Laugh Away Your Inner Critic. Please see my Coaching Testimonials page for an extensive range of client testimonials. Why do some testimonials have only initials rather than full names? Coaching is confidential by nature. Many clients wish to offer a testimonial while maintaining their confidentiality. When can I be coached? Weekdays during office hours are preferred – plus I have a very limited number of evening slots on Mondays, Tuesdays, Wednesdays and Thursdays. The latest start time for coaching sessions is 6:30pm. I’ve heard about ‘life values’, what are they? Please see my Life Values page. If you feel ready to make beneficial changes to your life, then coaching can help you make those changes. Coaching is not a therapy; it’s a way of helping ordinary people do things differently, better and more effectively. It can help you deal with difficult situations and think more positively about yourself and your abilities. Some people do have negative attitudes about themselves that go deeper than most, or have unresolved events from their past. These may require a more therapeutic intervention. Similarly, people who are clinically depressed may not be in the right place to be coached. If you aren’t sure then discussing it in the complementary session can help. The money back guarantee also offers a safeguard, allowing a risk-free way of trying coaching. How does a coach know what I should do with my life? They don’t, but they do know how to help you do your best thinking, come to thoughtful decisions and make things happen. Many coaches, myself included, will offer various exercises and techniques that can be helpful with respect to positive thinking, confidence, self-belief and effective communication. What’s the difference between a life coach and a mentor? A mentor tends to be offering their own experience as guidance, and may or may not use a coaching style. So mentors are usually not trained in listening or questioning skills, or in techniques to aid confidence, self belief, etc. So mentoring tends to be limited to areas of the mentor’s experience. Because coaching helps clients build their own awareness, understanding and decision making, a good coach can help clients make fantastic achievements over a range of topics and career paths. There are times in a coaching relationship when a mentoring style can be useful. I’m also a qualified mentor (UK College of Life Coaching Mentor Programme) and where appropriate (and with the client’s permission) will incorporate a mentoring approach into my coaching.